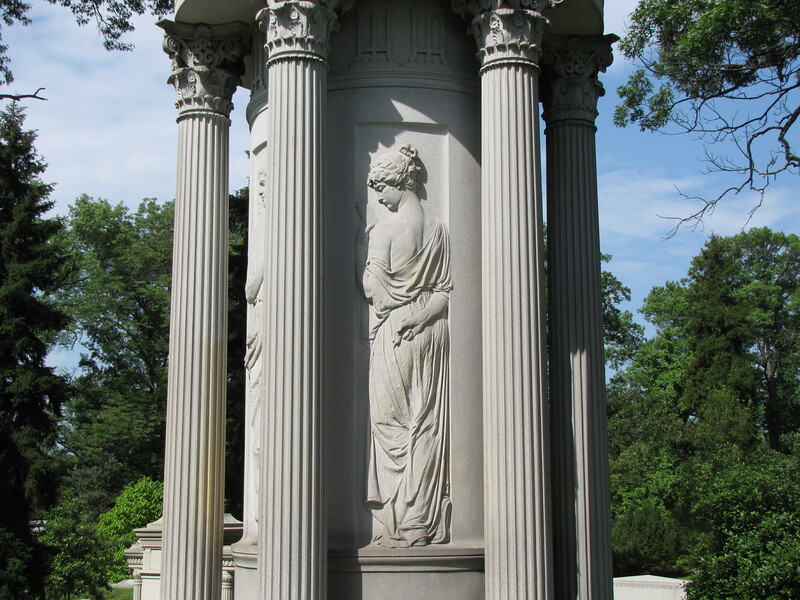 Neoclassical designed monuments can be found in many large urban cemeteries in the United States, including Spring Grove Cemetery at Cincinnati, Ohio. 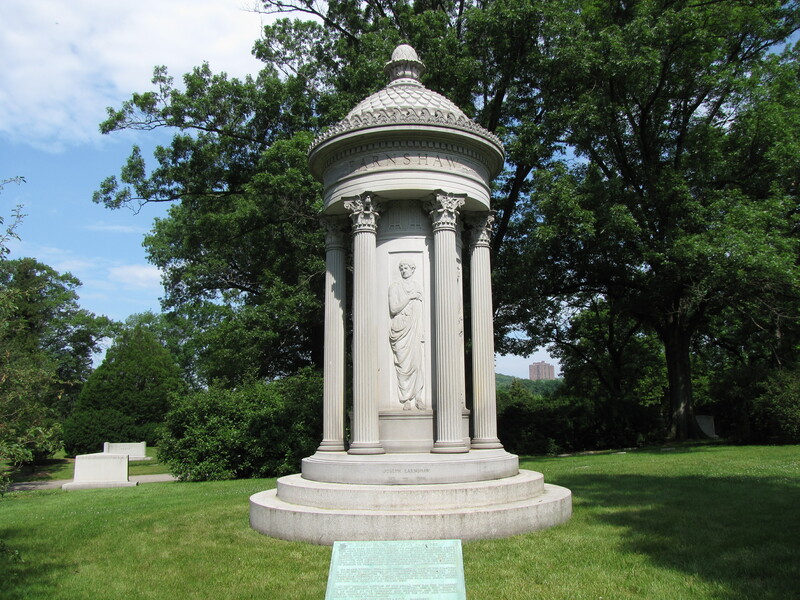 The Joseph Earnshaw Grecian Corinthian-style monument was based on the Choragic Monument of Lysicrates which is located at the base of the Acropolis at Athens, Greece. 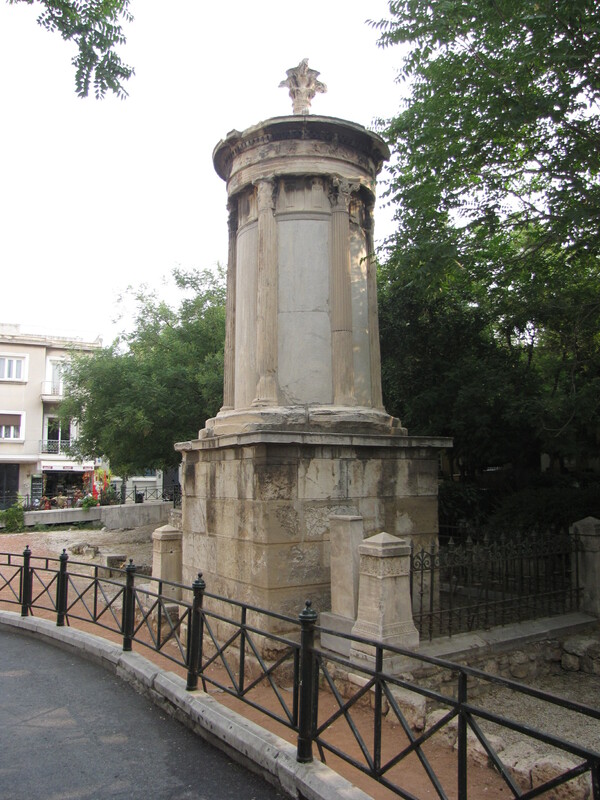 The Lysicrates monument was the first building to have Corinthian columns on its exterior. The building was built by Lysicrates a wealthy patron of musical performances in the Theater of Dionysus.